Genuine OEM Brother Toner Cartridge, Black, High Capacity 4,000 page yield. Brother part number: TN336K, TN336BK. Laser Toner Cartridge compatible with Brother DCP-L8400CDN, DCP-L8450CDN, HL-L8250, HL-L8350CDW, HL-L8350CDWT, MFC-L8600, MFC-L8650CDW, MFC-L8850. 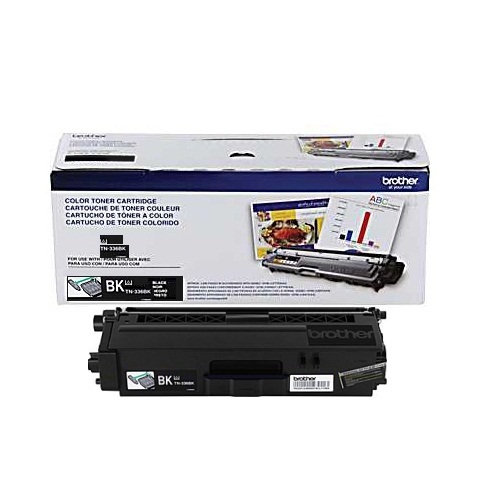 Compatible Brother Toner Cartridge, Black, High Capacity 4,000 page yield. Replaces Brother part number: TN336K, TN336BK. Laser Toner Cartridge compatible with Brother DCP-L8400CDN, DCP-L8450CDN, HL-L8250, HL-L8350CDW, HL-L8350CDWT, MFC-L8600, MFC-L8650CDW, MFC-L8850. Compatible Brother Toner Cartridge, Cyan, High Capacity 3,500 page yield. Replaces Brother part number: TN336C. Color Laser Toner Cartridge compatible with Brother DCP-L8400CDN, DCP-L8450CDN, HL-L8250, HL-L8350CDW, HL-L8350CDWT, MFC-L8600, MFC-L8650CDW, MFC-L8850. Compatible Brother Toner Cartridge, Magenta, High Capacity 3,500 page yield. Replaces Brother part number: TN336M. Color Laser Toner Cartridge compatible with Brother DCP-L8400CDN, DCP-L8450CDN, HL-L8250, HL-L8350CDW, HL-L8350CDWT, MFC-L8600, MFC-L8650CDW, MFC-L8850. Compatible Brother Toner Cartridge, Yellow, High Capacity 3,500 page yield. Replaces Brother part number: TN336Y. Color Laser Toner Cartridge compatible with Brother DCP-L8400CDN, DCP-L8450CDN, HL-L8250, HL-L8350CDW, HL-L8350CDWT, MFC-L8600, MFC-L8650CDW, MFC-L8850.